Ankle Straps For Cattle | Ketchum Mfg. Co.
Dana Cow Ankle Straps are 14" long, 1-1/2" wide and 1/8" thick. 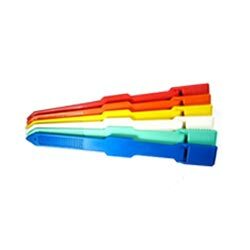 These one piece polyurethane ankle straps have a ratchet lock to allow for easy adjustment on different size legs. 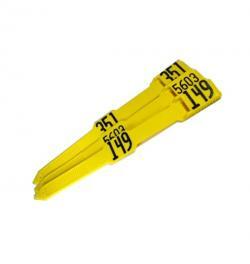 Will adjust from 3-3/8" down to 2-1/2" in diameter. 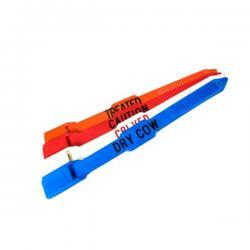 Herd Management ankle straps including "DRY COW", "TREATED", "BRED", "CAUTION", AND "CALVED".